Riptide Big Band is a dance band that plays music from the big band era through the light rock of the 60’s and 70’s, pretty much anything written for standard big band orchestration. We specialize in the music standards of the 30’s and 40’s when big bands were the nation’s primary entertainment, and everyone danced. 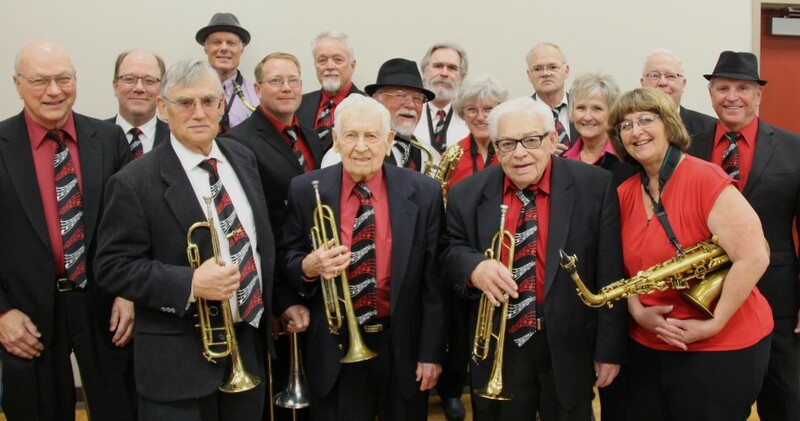 Whether a dancer or just an avid listener of big band music, you will enjoy the sounds of Riptide Big Band, the Central Coast’s premier dance band. We’ll keep your feet tapping! The group had its beginnings in early 2014 and features local musicians from Lompoc to Paso Robles. Click HERE to see a flyer for our upcoming FREE “Hawaiian Style” Senior Prom on Sunday, May 5th. Click HERE for a three minute audio experience as you listen to a “sampler” with excerpts from seven of our favorite tunes. And, click HERE for a second recent “sampler” of our music. Wait! Time marches on and now we have a third “sampler,” and this one is ten minutes long. Click HERE to listen to the newest addition.